Victoria Bowling Club » Leigh crowned NZ Bowls Champion! Leigh crowned NZ Bowls Champion! 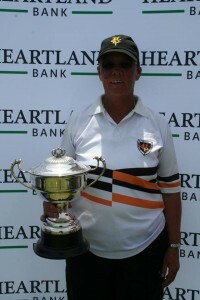 You are here: Home » Blog » Competitions » Leigh crowned NZ Bowls Champion! In two thrilling finals, Kaikorai’s Michael Kernaghan and Victoria’s Leigh Griffin have become the new singles winners at the New Zealand bowls championships. Both players had to withstand determined opponents and comebacks today to clinch their crowns at Browns Bay Bowling Club in Auckland. 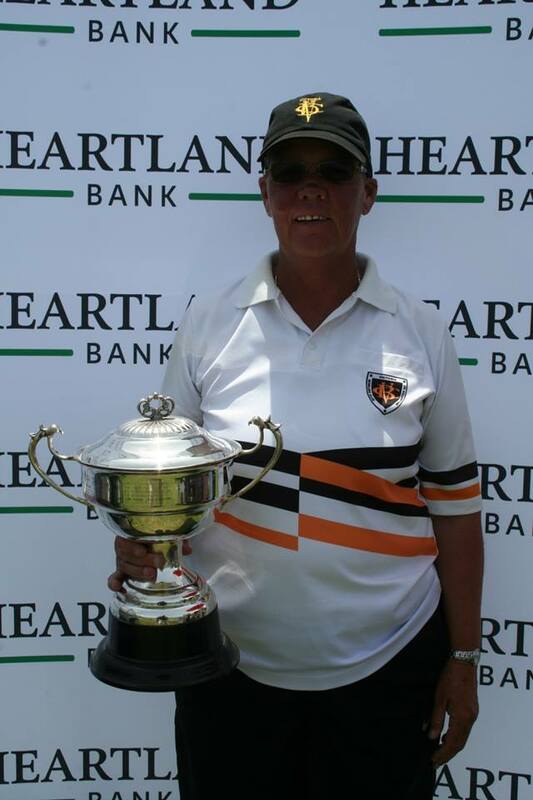 Kernaghan defeated Elmwood’s Alvin Gardiner 21-19 while Griffin prevailed 21-17 over Elaine McClintock, of the host club. Griffin’s win in the women’s singles rates as “one of the greatest” moments in her life and certainly her biggest win in bowls, even though she has 25 Wellington titles. Griffin started the women’s final brightly and with confidence. She led 14-3. But then McClintock, playing in front of a boisterous home crowd, climbed back into the match. McClintock threw a succession of long ends, scoring eight singles and three twos over the next 13 ends. Griffin could only manage two singles and suddenly it was McClintock in front 17-16. But Griffin called upon all her experience, scoring a brace and a single, to get within two of the title. After Griffin initially held shot, McClintock drew it back, before Griffin turned her own bowl onto McClintock’s and walked through to hold two. McClintock’s final draw shot ended up on the wrong side of Griffin’s bowls, and it was victory to Victoria for the second year in a row. Helen King won the title last year. “It [the green] became a lot different as the game progressed,” Griffin said.